Each package contains 8 thank you cards. Each package contains 8 magenta dots thank you cards. Each package contains 8 yellow polka dots thank you cards. Each package contains 8 royal blue polka dots thank you cards. 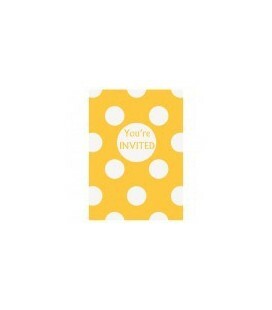 Each package contains 8 yellow polka dots invitations. Each package contains 8 invitations. Each package contains 8 royal blue polka dots invitations. Each package contains 8 magenta dots invitations. Birthday Cake Banner Kit feature an adorable mini banner with the phrase "Happy 1st Birthday" printed in vibrant colors. This cake kit also includes 6 white striped candles. These fun banner kits will add color to any birthday cake. Caution not to put close to flame. Banner Size: 16.5 cm in Lenght x 12.7 cm in Height. These napkins in the shape of skulls will make your Halloween party scary and pretty thanks to it's delicate floral decorations. So pretty, you will find yourself using them well past your Halloween party! Getting the right stationary can be a bit of a balancing act; that's why we've come up with the perfect fun pen in the form of a flamingo! Displaying all the grace and balance of a flamingo - this pen will liven up any desk with it's fun and bright colors! Fun and cute, this set of 8 cups with Santa Claus cases from Meri Meri is the perfect item to finalize your table decoration for the Christmas celebration ! The cups are easily removed from the Santa Claus-shaped case to allow easy drinking. You can keep the cases from year to year, changing only the cups ! There’s no excuse for anything less than perfect with the king of the jungle in your pencil case. Our friendly lion will make easy work of your mistakes by erasing them with his orange mane, whilst making sure your pencils are point perfect with his handy inbuilt sharpener. So go ahead, sharpen and erase all you want, promise the lion won't bite! These spooky plates in the shape of skulls will make your Halloween party super scary and pretty thanks to it's floral decorations. 2 Boot Covers Santa One Size. These Boot Tops are made of Black Vinyl with White Plush Cuffs. This is a costume accessory that would be a great update/replacement part to any Santa Suit ! A stylish, large gingham pattern in cool blues features on these party plates. Each plate is finished with a scollop border with neon green band. A stylish, large gingham pattern in pink features on these party plates. Each plate is finished with a scollop border with bold pink band. Decorated with a classic gingham pattern in bright yellow with a green rim these stylish party cups are perfect for a range of special occasions. Decorated with a classic gingham pattern in cool blue with a neon green rim these stylish party cups are perfect for a range of special occasions. Decorated with a classic gingham pattern in pink with a bold pink rim these stylish party cups are perfect for a range of special occasions. Add a fun touch to your party with these mini hats. The hats are decorated with moon and star patterns in silver holographic foil and have metallic string ties. Pack contains 8 party hats. 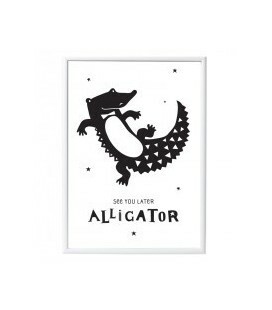 Have a nice day and speed up your admin with our tasty Fast Food stationery range. Don't be the wiener of your office, get your hands on this delicious-looking stapler in the shape of a mouthwatering hot dog. Decorated with an elegant gingham pattern in pale blue, these stylish large napkins are finished with a scollop edge with neon green border. A ghastly garland for a special Halloween celebration featuring a row of colorful skull pennants with Day of the Dead patterns suspended from a neon orange cord. We've combined two of our favorite parts of Spring - bunnies and wildflowers - to bring you these gorgeous napkins. The soft floral print smells like spring and Easter chocolates and will add a soft and delicate touch to your table and deco. These napkins will delight guests of all ages. If you’re looking for a special place to keep your favourite stationery you’ve just found it. This cute pencil case is not only shaped like a slice of watermelon, it smells like one. In bright coral and lime with a teal zip, it's guaranteed to bring bold juicy fun to your desk. Decorate your spooky Halloween cupcake with this Day of the Dead style cupcake kit featuring 2 styles of cupcake case embellished with shiny rose gold foil and 4 styles of sugar skull toppers. Love condiments? Cleverly disguised as ketchup and mustard dispensers this black pen and yellow highlighter set will add colour and flavour to your pencil case. Pop off the caps to reveal a ballpoint pen and thick highlighter. All fun and 0 calories! So go ahead, squish that ketchup and mustard! Our adorable giant turquoise unicorn eraser makes a unique addition to any desk. This giant sized eraser is made from solid rubber and is the most magical way to correct and erase any mistakes! In case you are asking yourself, even with it's XL size you will not be able to fly away with her! Be Jolly Napkin Rings. A colorful set of napkin rings crafted in colored acrylic and with Christmas greetings on each including Be Jolly, Joy, and Ho Ho Ho. Pack contains 8 napkin rings in 3 styles. Meri Meri. These cute bunny hair pins are crafted with felt with embroidered stitching details finished with a colorful pom-pom. They make also a perfect Easter present ! 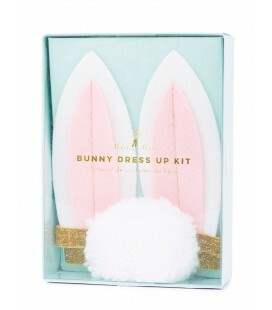 These cute bunny clips in a shape of bunny ears are crafted in felt with embroidered stitching details. Your bunny will look so adorable with them! A set of 4 cute Easter baskets in a selection of colors perfect for collecting Easter eggs and treats. Each basket is crafted in a textured card and has a riveted handle. We've combined two of our favorite parts of Spring - bunnies and wildflowers - to bring you these gorgeous plates. The soft floral print smells like spring and Easter chocolates and will add a soft and delicate touch to your table and deco. Beautifully crafted from high quality paper, they'll delight guests of all ages. A set of 8 colorful bags for a colorful Easter party that will delight all your little bunnies, featuring the Easter bunny with cut-out ears and a multi-colored tassel. Bags come in 4 colors with neon coral twisted paper handles. Perfect for collecting Easter eggs and treats. These sweet little bunny party bags are perfect to fill with yummy treats and gifts. Decorated with beautiful pastel colors, shiny gold foil details and striking neon yellow handles. Add a sprinkle of fun to your party with this amazing balloon kit. 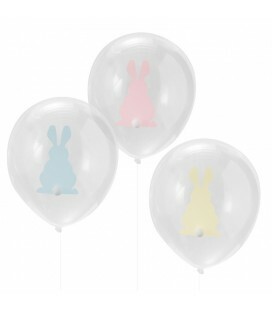 Create your own bunny balloons with a choice of colors, balloon sticks, crepe paper fringes and horns. Pack contains 8 balloons, 4 balloon sticks, 4 bow ties, 4 bunny ears, 1 sheet of stickers. 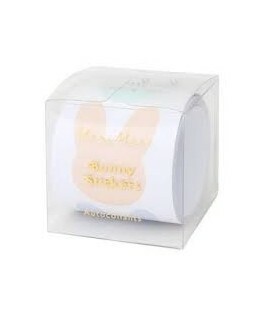 A set of cute cake toppers in Easter bunny shapes crafted in translucent, frosted acrylic. Meri Meri gorgeous Easter Egg Hunt Kit Easter would not be complete without an egg hunt and what better way to enjoy it than with this egg hunt kit complete with decorated signs, flags and paper flowers. Our deluxe officially licensed Stormtrooper Costume is built to Empire requirements with a jumpsuit featuring imbedded muscle armor padding. Don't forget to put on the included stormtrooper mask before you rush into a skirmish with the rebels! You are now ready to join ranks as an Imperial soldier of the Galactic Empire!